I'm honored to have my Portaits of My Garden quilt featured on the March banner of Madame Samm's Sew We Quilt blog. "Green" is the theme of the month - check it out! 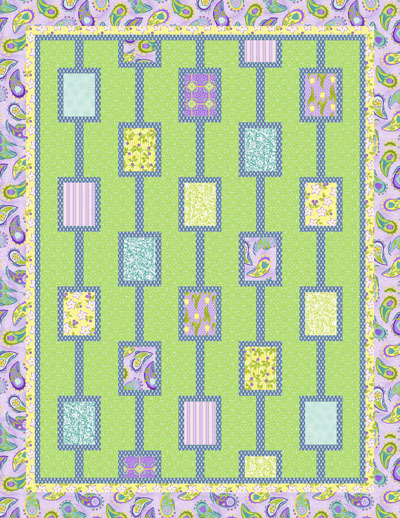 Portraits is a really fun quilt because, although it looks complicated, it really isn't because there are no seams to match. Plus it is a great vehicle for feature prints. I'll be back tomorrow with the next installment of the Easter Table Topper. 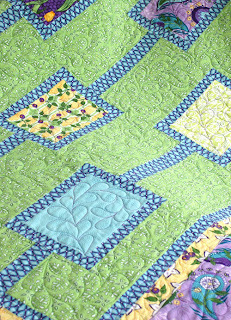 What a pretty quilt Amanda..love your pattern, the colors and fabrics!! Congrats on being featured!!! 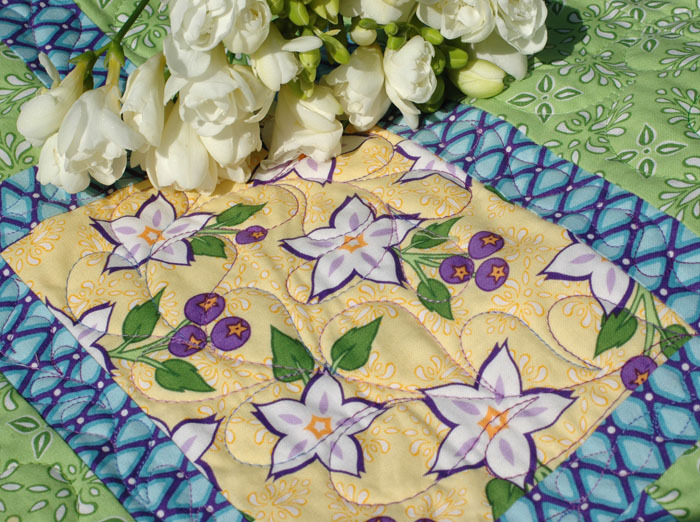 Congrats, such a pretty quilt, looks like spring! Congratulations on being on the Sew We Quilt banner. I love the fabrics you have used. A perfect name for a quilt. Just thought the quilt could be personalised with photos from the recipent's garden. Have to add this to my faves which have been all the different circle patterns. I just saw that at SWQ. Congratulations! Congratulations on being featured! 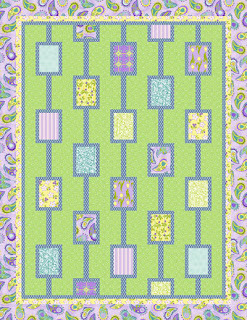 It's a lovely pattern! 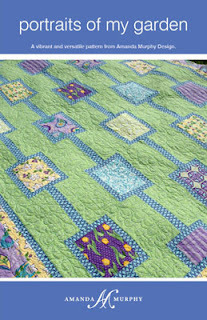 I enjoyed your interview about this lovely quilt at stashmanicure a.k.a. sew we quilt. I saw that she'd used it and was very pleased to see it. As yo ukonw, that's one of my favorites.